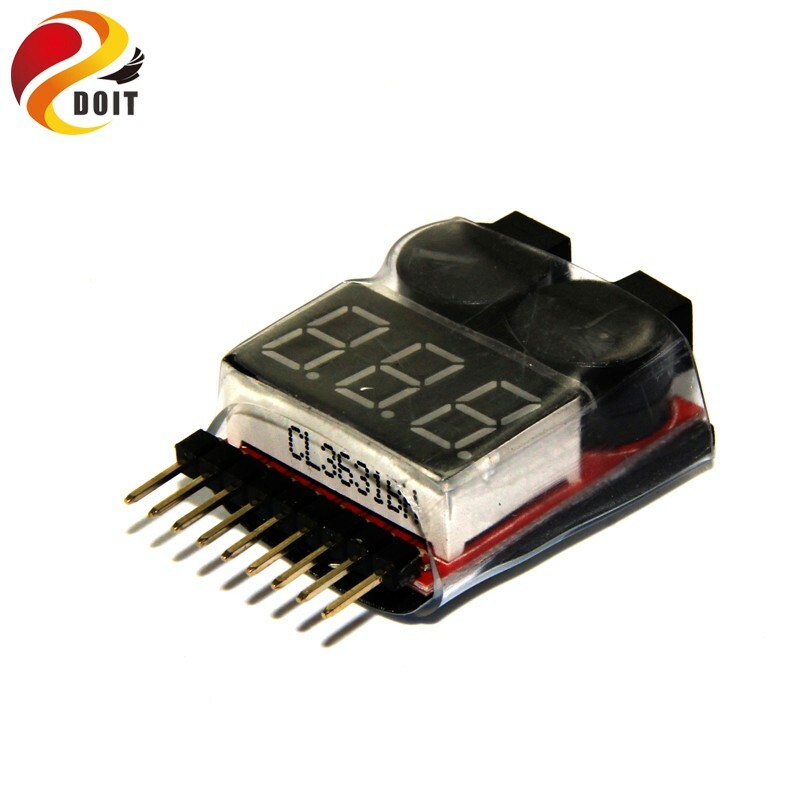 The voltage monitor is used for the detection of 1S~8S, and automatically detects the voltage and total voltage of each battery of lithium batteries. 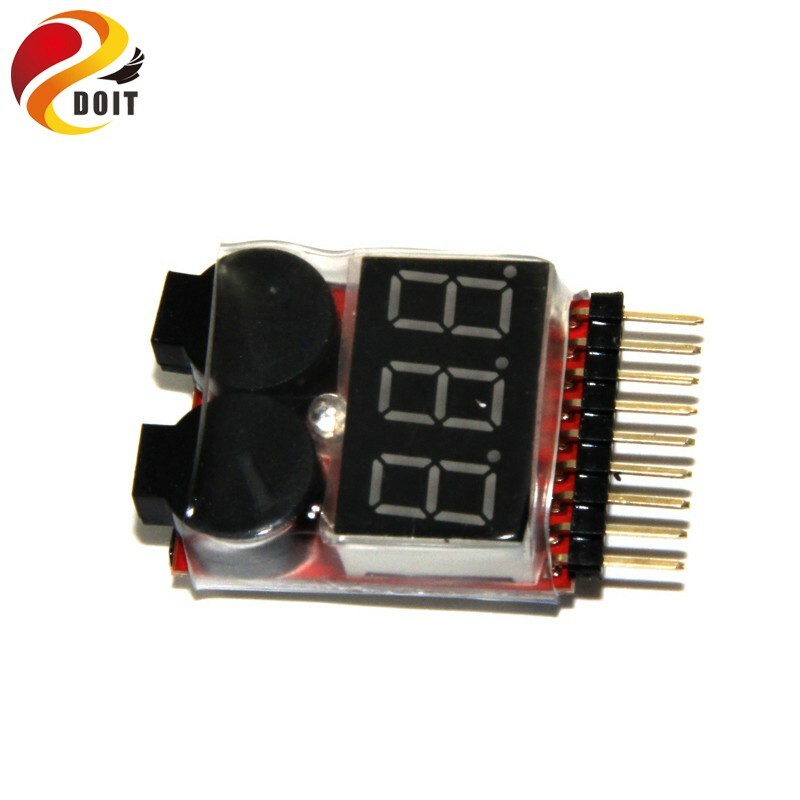 It can let you know the working condition of your battery anytime and anywhere, so that your battery will not be hurt by the excessive discharge or over charge. 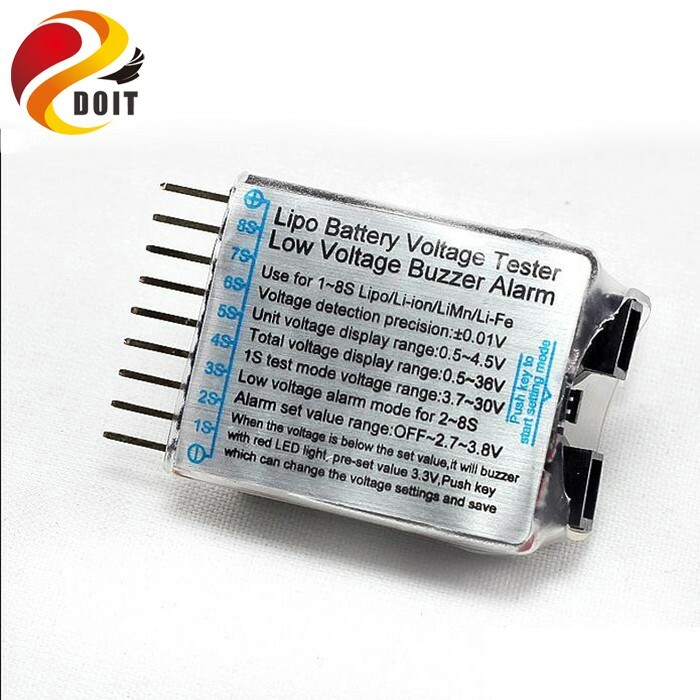 When the voltage is lower than the set value, the buzzer will alarm, the red LED lights flash; the factory default settings for 3.3V, press the button to change voltage setting value, automatically save the current user settings. Voltage detection accuracy: + 0.01V.